Happy Saturday! I hope you all get the chance to relax and enjoy the weekend up ahead...we all need a little relaxation these days. I wish I could afford a SPA treatment everyday, that would be the best. But reccessionistas must find ways to keep cool and relaxed right at home, without spending a fortune. A great way to find relaxation is by taking a day all to yourself and pampering yourself. A nice relaxing bubble bath can ease any stress you are going through. Aromatherapy is also nice, as it soothes one's mind and spirit (or so I like to think). 2. Kayolin Clay which is used to draw out impurities and leaves skin feeling clean, hydrated and tight. 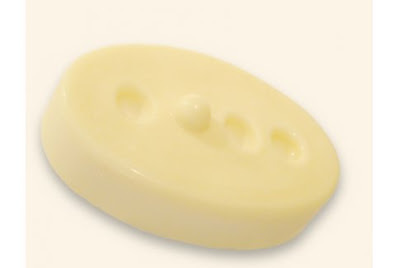 Boy, do I hear raves about this massage bar. This bar is organic, contains shea and cocoa butter which are amazing moisturizers. It also contains lavender and and sweet orange oils that are used to help one relax. Just massage this bar on those sore spots and let it take you away. What better way to lock in your body's moisture than with a moiturizing body butter. Korres Jasmine Body Butter is all natural, and contains shea butter to moisturize and even sunflower almond and avocado oils to help restore skin's elasticity and to keep skin smooth. What are your favorite bath and body treatments that you all use to relax? Let me know in the comments section! Disclosure: I am not affiliated with any of the companies mentioned above. I have never tried any of these products mentioned, I am just using this list as a guide to give my readers good ideas. 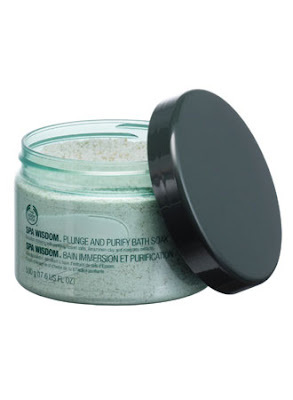 The only spa-like products that I've ever tried are from Rituals (a Dutch brand). They have a range of products designed after the bathing ritual in hammams. I love using them!